“I’m am extremely happy with how the Europeans went, especially as it was my first international event in the boat mixing with the big boys and the best in Europe. To be crowned Junior European Champion was the icing on the cake after a very fun week of hard work and great sailing. “My highlight of the Europeans has to be getting a top 10 in the last race crossing the World Champion with the last tack of the race to get inside the top 10. It was the penultimate race of the regatta, I needed a good race to stay in the top 15 and thankfully I did just that. To be honest couldn’t stop smiling as I’d had all top 25 results but nothing in the top ten. to get one in the top ten result was hard fought in such a good fleet. 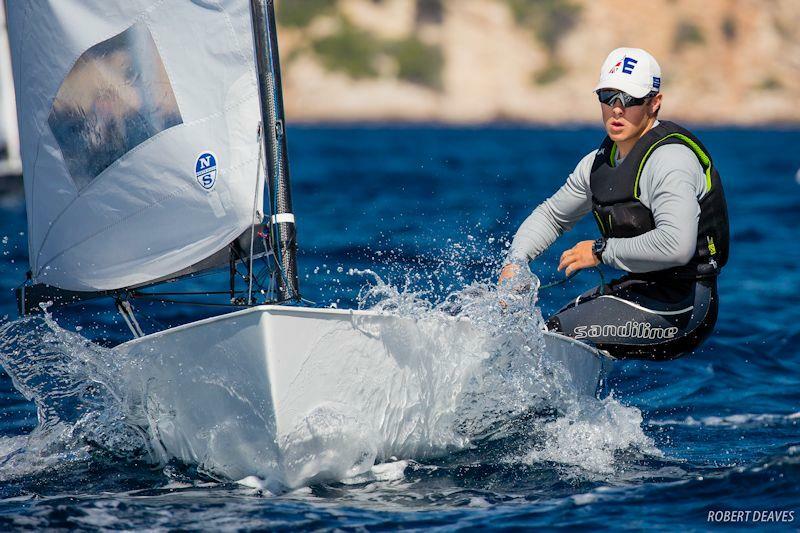 “I started sailing when I was about eight sailing Optimists, I soon took to it and was off around the county doing the extremely competitive circuit they had, being selected for the National squads soon after. It helped me no end to get my head round 100+ boats on a start line which helps me with every start I do. At the age of 12 I moved into the Laser 4.7 where I spent the next few years, winning a few national ranking events and the Inland Championships before moving into the Radial until 2016. “By this stage I had started to do some keelboat sailing in the Dragon Class which I still sail today – sailing with Graham and Julia Bailey who I’ve known since I was born. They’ve helped my sailing more than I could imagine, the highly competitive fleet mixed with the experience and intelligent sailing of the Baileys has taught me so much that I can take into my own sailing. We have won four Edinburgh Cups (National Championships) 2014, 2015, 2017 and 2018.